After thinking about the blog I wrote regarding men being thoroughbreds and Jackasses, I said to myself: “Self, women have their pluses and minuses too, so we should be fair and write about both.” I’m not sure if the “we” makes me schizophrenic, nevertheless, let us tell you a little something about women. God made women to be natural nurturers and lovers. Every single woman, whether they are old or young, rich or poor, they are all nurturers and lovers. The very emotions that we men sometimes hate are all mixed into the nurturing pot that gives women such a forgiving and hoping spirit. Every woman wants the most for their children and all have the ability to see the best in their children, even when it is difficult for others to see. This has been transferred so many times to the men in their lives and, unfortunately, many don’t deserve it. By now, you’re thinking, “So what happens?” I’m sure many would argue that not all women are like this. (I am saying all women are as I’ve described). Well, what happens when you love real hard is the same thing that happens when you drive too fast – eventually you crash. The women who we judge by saying they are not like I’ve described are the very women who have crashed. Whether they fell in love with the wrong guy, a married guy or a gay guy, these women have been hurt and what you are seeing in the (present day) is the results of the hurt. Their adaption, if you will. I have placed them in three categories to better understand their position. Some women as a result of their hurting have resorted to being overly selfish and only looking out for self. I call this the wardrobe part. This type of woman is only interested in what you can do for her and what you have done for her lately. She is adorned in extremely expensive clothes, jewelry and accessories (for no other reason than in her mind she’s convinced herself that she’s worth it), and now she needs you to prove your love to her. The proof she requires is all physical. In her mind, she believes that when the relationship ends (and now for her they all will), she needs something of value to take from the relationship – Wardrobe! Next is Witch and I was thinking of the word that rhymes with this, but I don’t like using it to refer to females. Witches, too, have crashed – and for them every man is viewed the same way – DOGS! Since her crash, she believes that men are limited in what they are good for – so as a woman, she just gets what she can from them and vows not to put up with any mess! Witches use their actions as protective shields to defend against being hurt again. Hurt for them has become such a dominating part of their life that they cause hurt first (or draw first blood) believing that hurt is a necessary part of relationships. The more they have been hurt, the more of a witch they will be. Then finally we reach the Lioness. Although these felines are still a little finicky, they serve multiple roles in a relationship and they’re all positive. This is the type of woman who is a triple threat: She can make a house a home, she can earn a great living and she is very giving of herself. She loves without barriers. You can always tell a Lioness by the way she treats her children. She could easily fulfill the role of the male, but she understands that he’s the real king. 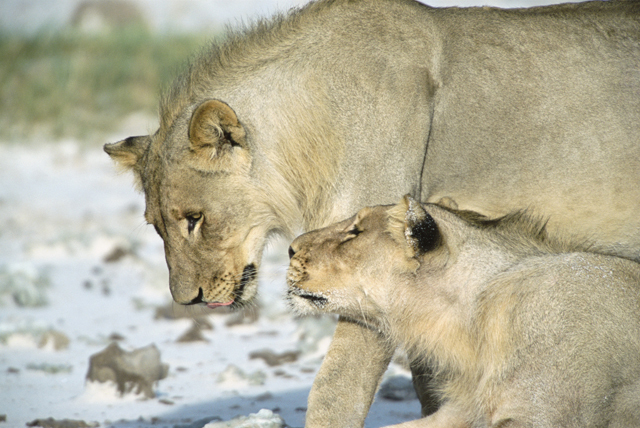 She also knows how to make the male feel like the king – why do you think he has such a loud roar? There is another kind of woman I call the pawn. She has not experienced much of anything and doesn’t know much of anything. You should not attempt a relationship with a pawn unless you are willing to be patient and teach. She’ll need time to develop and decide who she wants to be before she really can have a healthy relationship with someone else. In each category, understand that the right “King” can change the disposition of anyone. Remember, he’s called a thoroughbred! hi!This was a really exceptional Topics!